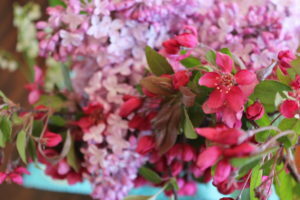 Crab apple blossoms and lilacs ~ such a delightful palette. …errr…gardens, parks, flower beds, and tiny little crevices that will grow a seed. There are so many kinds of spring flowers: tulips, iris, daffodil, hyacinth, pansies, snapdragon, and alyssum, to name a few. 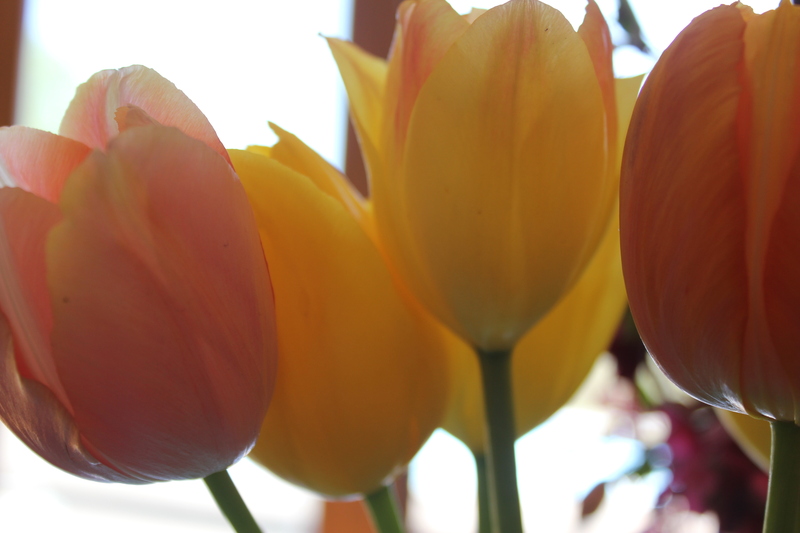 And the great part is that you can help Mother Nature out a bit by planting your own colorful party. And you can plant them so they pop up to the sounds of the season and have a new blossom every week for months! 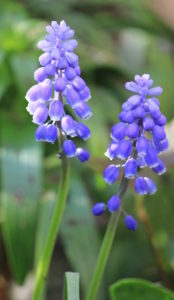 Muscari, one of the first to let us know spring has sprung. present, happiness, and encourages a positive mood. While houseplants with their green can help reduce stress, flowers are associated with feelings of happiness, joy and a sense of pleasant well-being. They also aid in relaxation and are a memory booster, and some make tasty little embellishments to your salads and cakes! 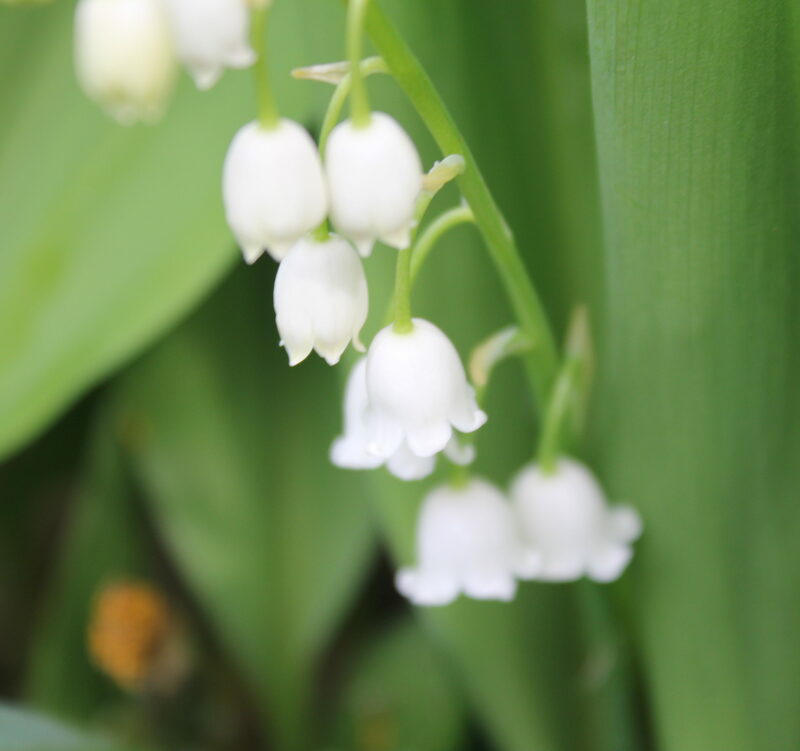 These ladies may be little but they make their presence known….their fragrance is breathtaking. A cutie with a bunch of cuties. Why else are flowers the choice of gift for those who are ill, accoutrements for a wedding and at the center of your family dinner table? Because they not only look good to us and enhance the ambiance, but they make us feel good! Euphoria at its finest, and all you need is a pair of secateurs. You may already have a plan for your flower bed and a strategy for season plantings (who doesn’t have this already in his/her head as soon as the first flake falls?!) to have flowers from spring through late fall that will continue to dance in the garden. Don’t forget about cutting a few and bringing in a bouquet inside. Cut flowers provide a visual, emotional, and psychological connection with nature, which benefits our mental health and happiness. 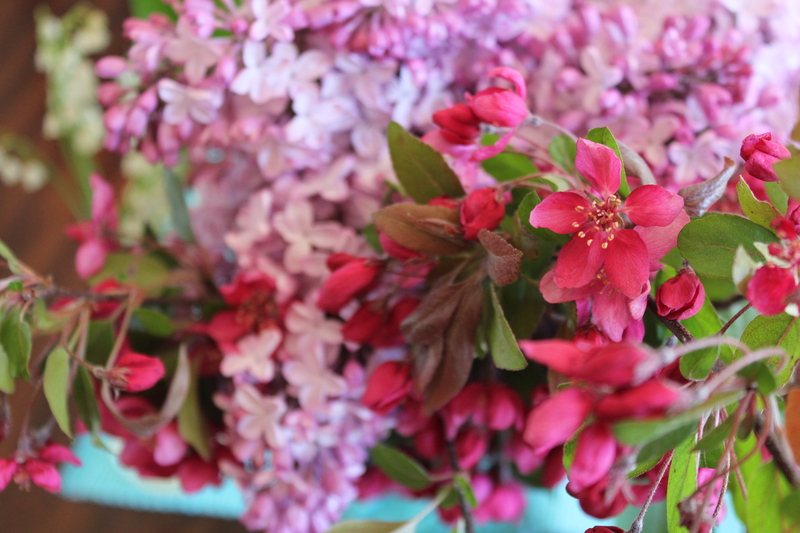 Just think about seeing the wonderful colors and shapes, smelling the magnificent aromas and touching the silkiness of your cut bouquets ~ isn’t it so much better than seeing a boring TV screen or a pile of mail? 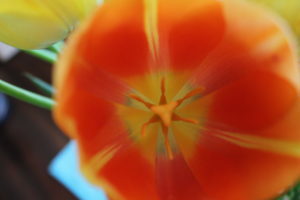 For even more enjoyment, take a close look at each flower ~ inside and out. What a wonderous creation that only Mother Nature can create, and we can promote and showoff her amazing artwork. 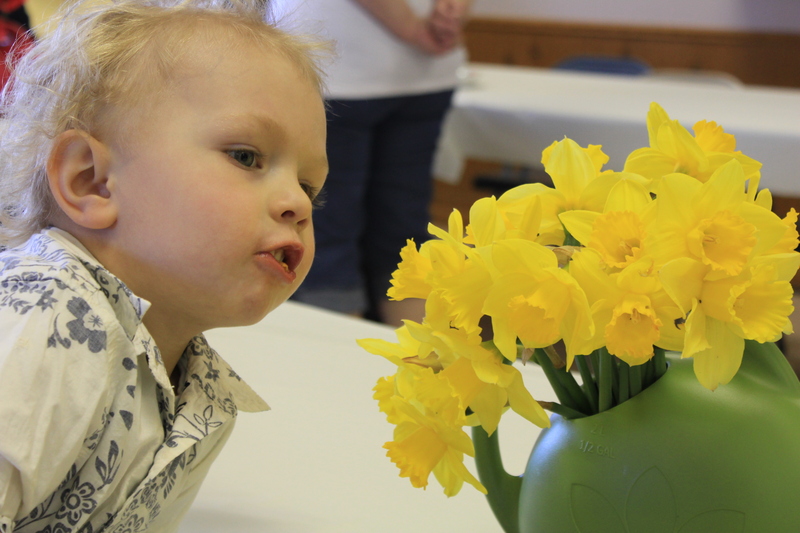 A fantastic book to learn more about flowers and to get a close-and-personal look at these beauties is Seeing Flowers by Teri Dunn Chace and Robert Llewellyn. A punchy party of tulips. Take a close look at a flower. It is magnificent what the flower goddesses can make.